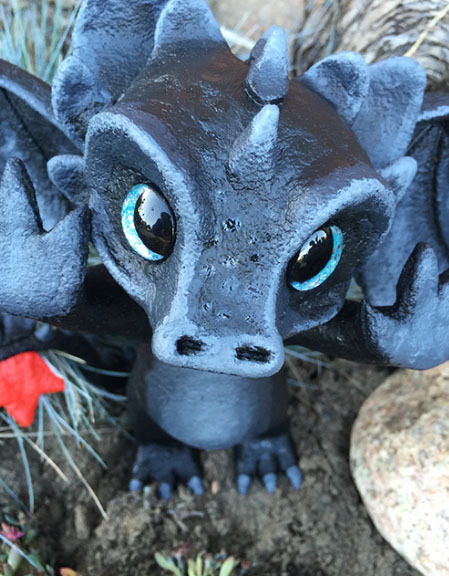 Nightshift Cosplay created this tutorial showing how to sculpt your own little toothless dragon. First, start painting the eyes. 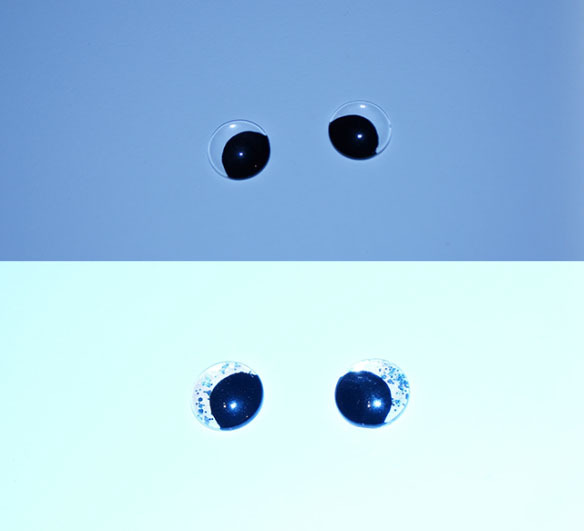 You can use black or a dark blue for the pupil. In the second step i added some sparkling nail polish for a better background. You also could use some additional white for eye highlights. Now we start with the basic shape of the head. 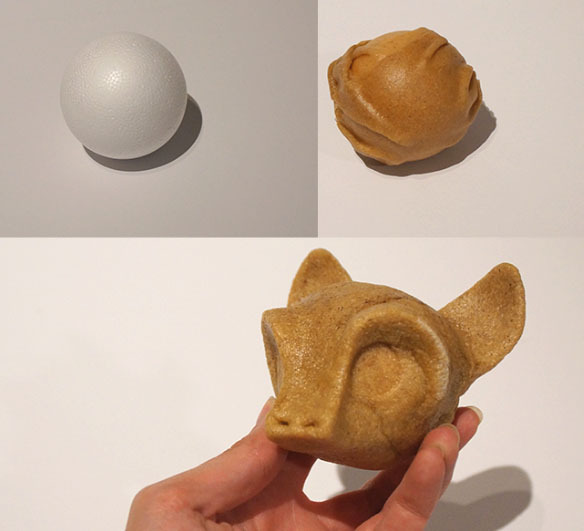 You can use a small styrofoam ball and cover it with worbla. Then i start modeling the first details and the simpler shapes of the head. Now its time to add some details like the spikes. 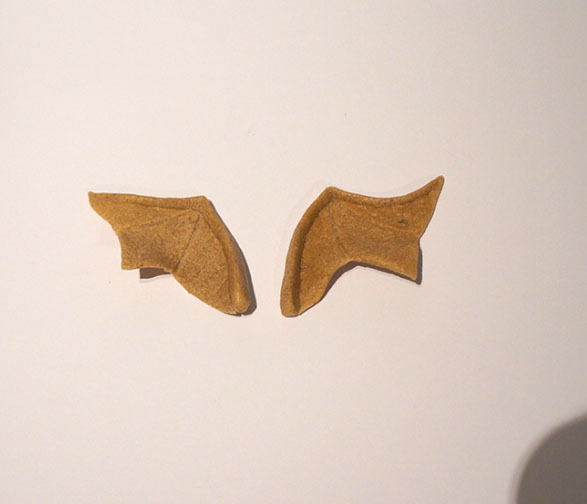 Just heat up little parts of worbla and roll them into little cones and attach them. Now it’s time to start building the body of our little dragon. You can use the same technique we already showed you at the headpiece. 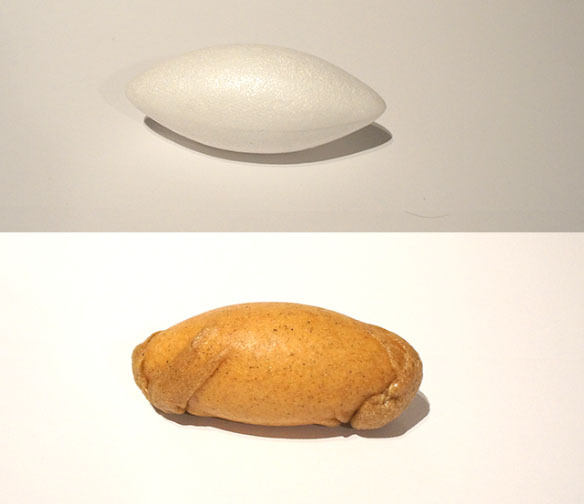 Just use a tyrofoam shape and start covering it with worbla. 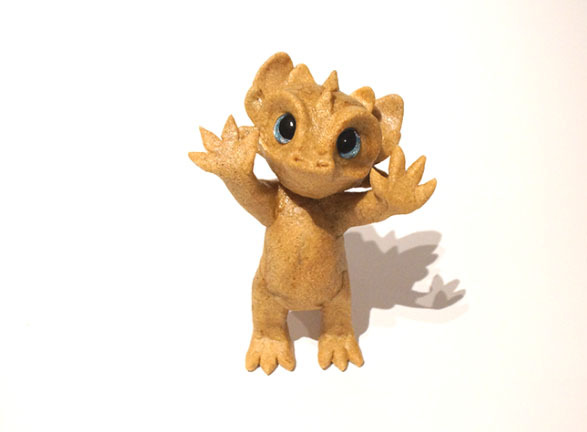 After building the body toothless need arms and legs. 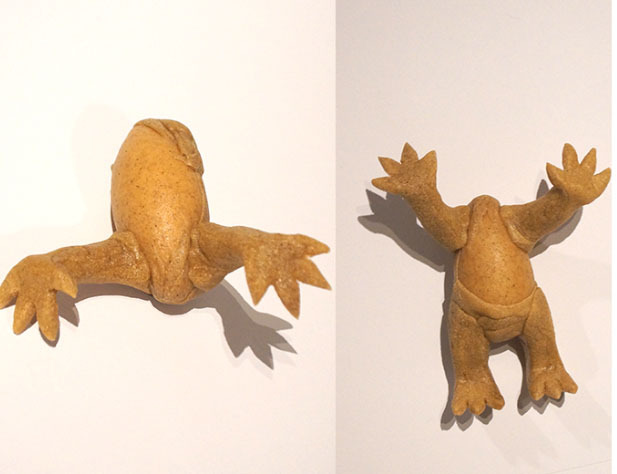 Therefore, you have to attach the limbs like it’s shown in the picture. You can also use this step so start smooth out the surface of the body. Now it’s time to put the head and the body together. Just heat up the contact surfaces and make the two parts stick together. It really starts looking like our little beloved friend, but a few steps are still missing. Of cause our dragon need some wings. 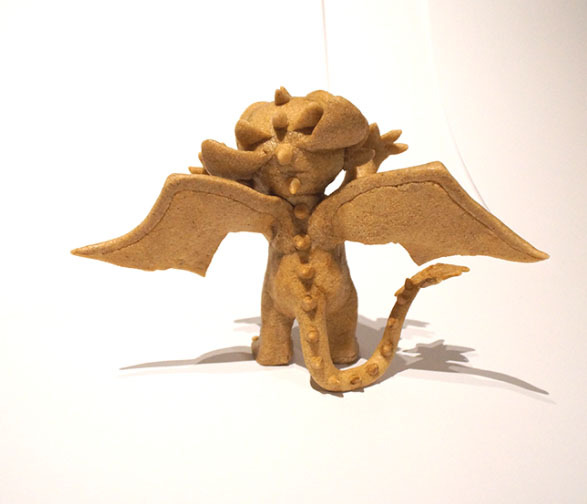 Just roll out some more heated worbla and cut out the form of your wings. Then you quickly press the two inside lines on your form. In the last step you just make a little roll and attach it to the upper edge as a bone. Now it’s time to attach the wings to the back. At this time it’s also recommended to attach the tail. The tail is also needed to make this dragon stand. So make sure the tail is likely even with the feet. To build the tail you can attach a rolled up piece of worbla to the back! 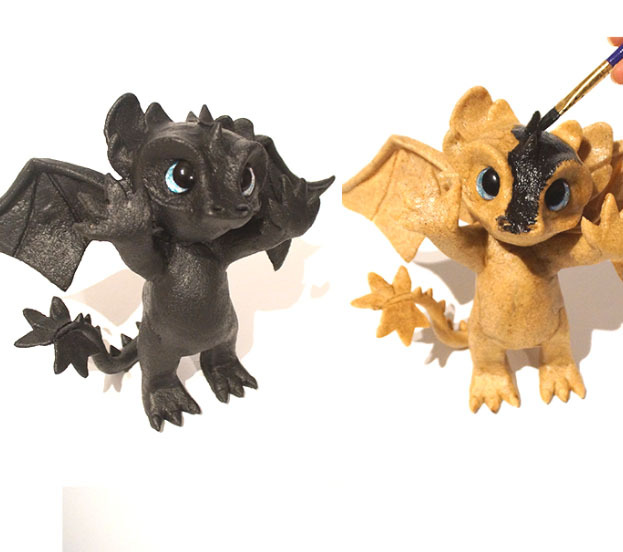 Painting toothlees is easy – obviously he’s black! So you mainly just have to prime him in a dark black. But don’t forget the red tip of the tail! 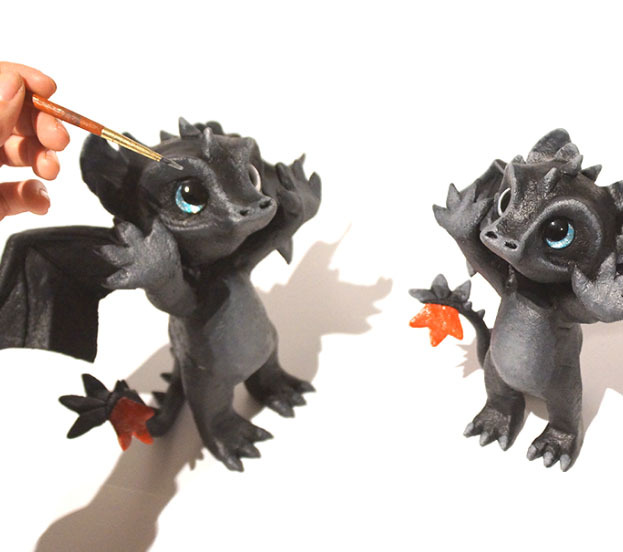 Just the black priming make toothless quite flat, so we need some shading to make him more natural. Mix white and black to get your favourite highlight. 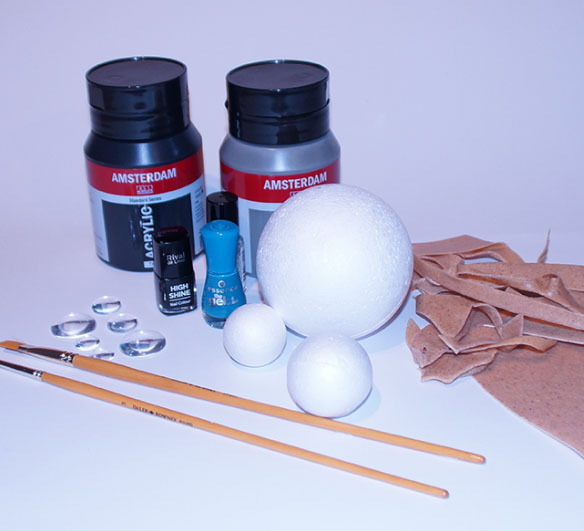 You can use different shades of grey and make some shading like in the pictures shown. Now most of the paint is done! 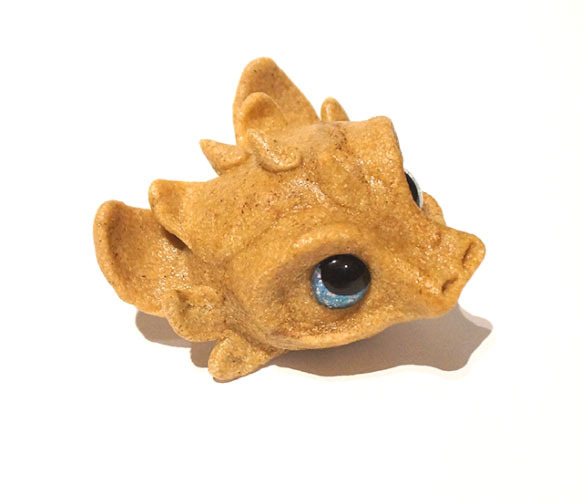 You can add some dragonscales by simply adding some drops of clear coat on the body. 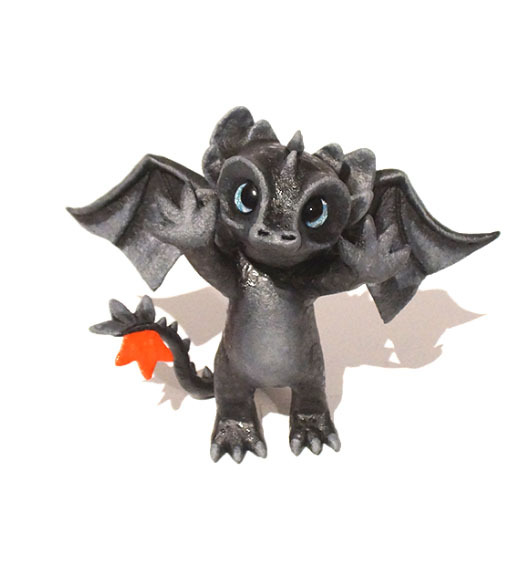 There he is, our little heartwarming toothless. I hope you enjoyed this tutorial. If you got any questions, feel free to ask and visit me. 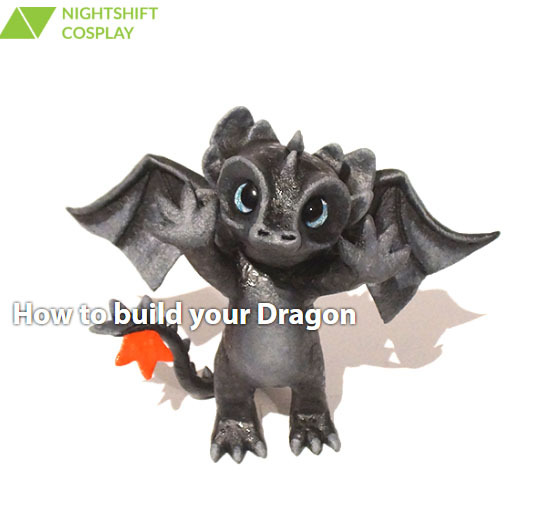 With thanks to Nightshift Cosplay for sharing this tutorial.